1. Detail your family history (briefly) and the reason why you are recruiting (i.e. 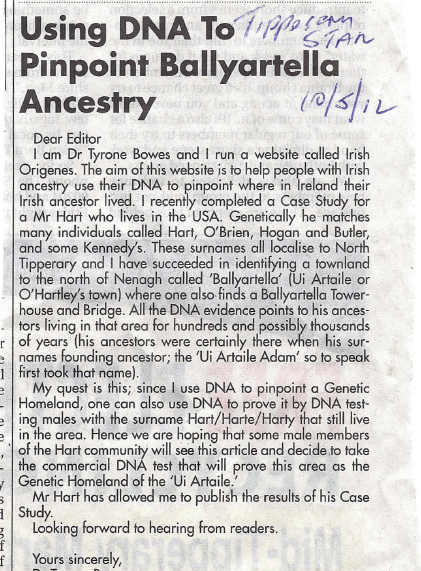 your DNA indicates an ancestral origin in X location and DNA testing a person with the surname X from that location will conclusively confirm the link). 2. If an editor thinks that you will be visiting the area in the future they will be far more willing to assist and publish your letter. It may even feature as an article. So if you are planning on visiting then mention it. It will also do no harm to mention your love of the Country or area you intend to visit! 3. Its best to sponsor at least one DNA test kit. 4. Remember to stress that the DNA test is painless (a simple swab from inside the mouth). 5. Never request family history information up front as that will put people off from replying. Ancestral history can be tentatively requested once contact is made. If you have a number of people replying then you can use their family history to determine which candidate is best to test. If you manage to recruit and test and that person comes back as a DNA match then you can then begin to try and connect your ancestral patertrails. It can be done! 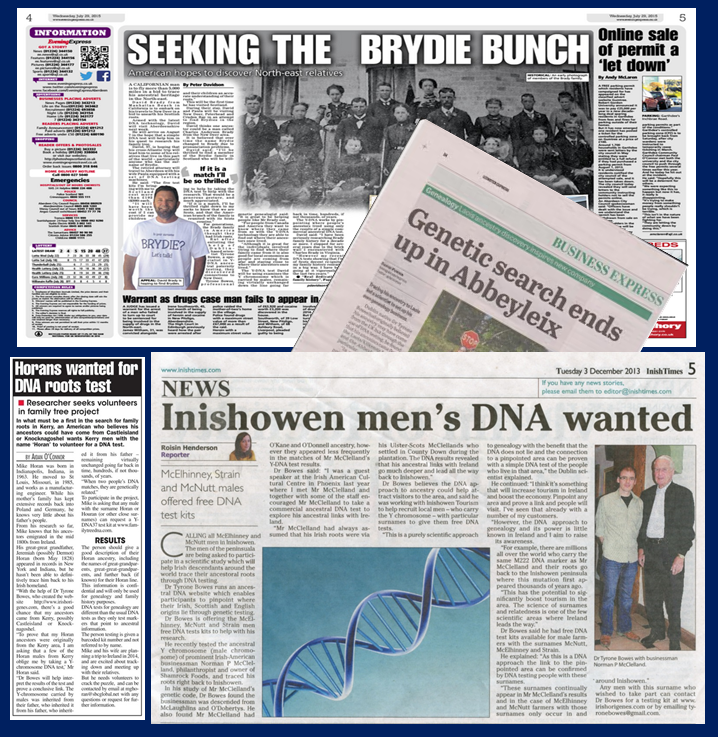 If you have had a DNA Case Study done at Irish Origenes contact me if you require further advice and tips with regards targeting and recruiting. Or if you have had a DNA test done contact me (by clicking here) for a FREE CONSULTATION.